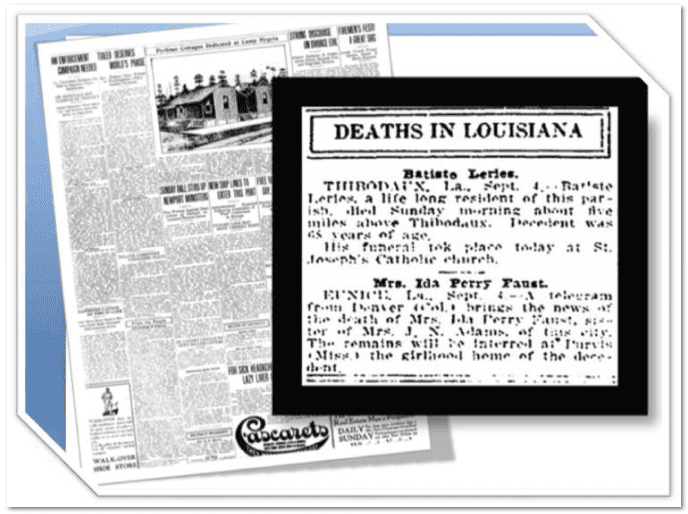 GenealogyBank is growing fast—we now have over 25 New Orleans, Louisiana, newspapers online. That’s a lot of local city papers to research your ancestry from the largest city in Louisiana! Trace your genealogy from “The Big Easy,” one of the most interesting, diverse, multi-lingual and multi-cultural metropolitan areas in the U.S. Here is the complete list of New Orleans, LA, newspapers currently available in our online archives, providing coverage from 1805 to 1988. Let the good times roll: “Laissez les bons temps rouler.” Start researching your roots in LA now.